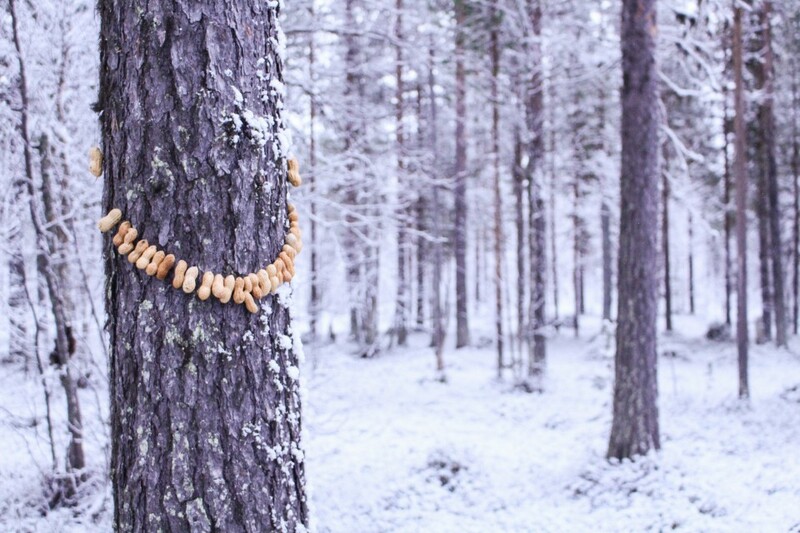 Birds may have difficulties finding enough to eat during the harsh Arctic winter. 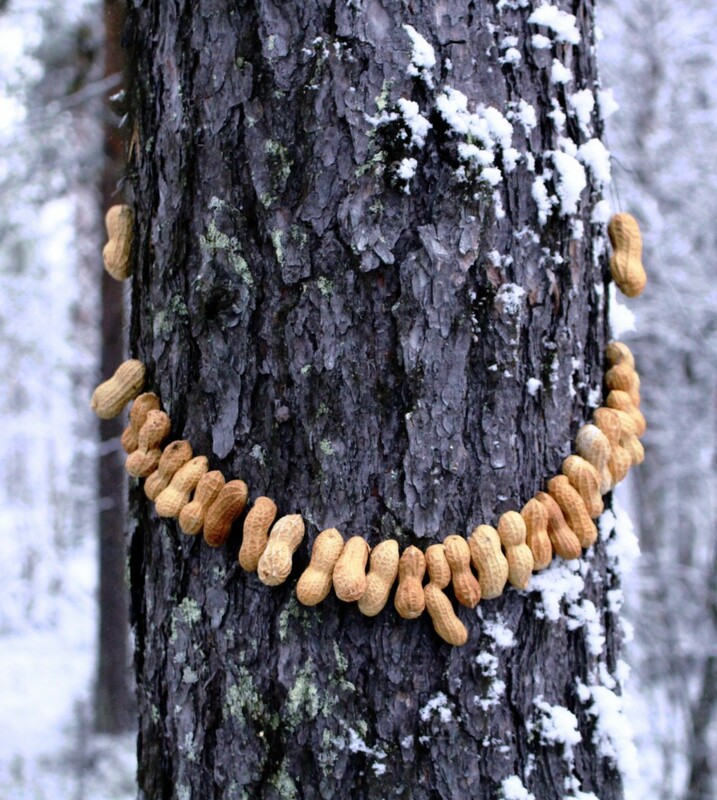 At HaliPuu we combine practicality and fun by introducing a peanut jewelry set for the trees. 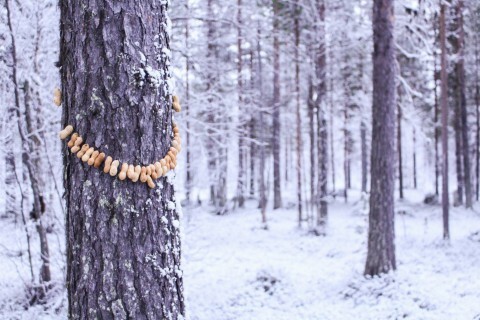 You can adorn your tree with our hand made necklaces and earrings, and make it the favourite friend of every bird in the forest!